Do you currently have $250,000+ in your current retirement account and considering doing a rollover to a gold IRA or self-directed IRA? When choosing the right custodian to manage your retirement funds, the fees that a custodian charges should be one of the most important factors in making your decision. There are two main classifications of fee structures, scaled and flat fees. With scaled fees, the custodian will increase the amount of fees charged as your retirement account grows. For example, if your account started with $250,000 and grew to $500,000 and the management fee was charged at 1% of the total amount, then your annual fee would have increased from $250 to $500 per year, which is practically double the initial amount. The other type of fee structure and the one that I recommend is flat fees. These types of fees remain the same throughout the growth of your retirement and allow you to grow your savings at a much accelerated rate then scaled fees. See my chart below to get an idea of the difference in the price you might be paying between having flat fees vs. scaled fees. The 2nd most critical factor when it comes to choosing the right custodian is precious metals storage. This is an important decision because when it comes time to liquidate your metals, you want to make sure that the process is easy and seamless. There are two main types of storage that you should be aware of that you should ask the company about, co-mingled and segregated storage. If a company mentions that they offer co-mingled storage, this simply means that your precious metals will be mixed in with others in the vault. This is not ideal because you want to make sure that your assets our separated from others because it might make liquidating metals a difficult and confusing process. The other type of storage is segregated storage and the option you want to hear when speaking with a company. This simply means that your metals will be stored safely in a vault in their own area and will Not be mixed in with others. This will surely protect your retirement assets. This is why I recommend going with a company that offers a low, flat fee for IRA administration and storage. 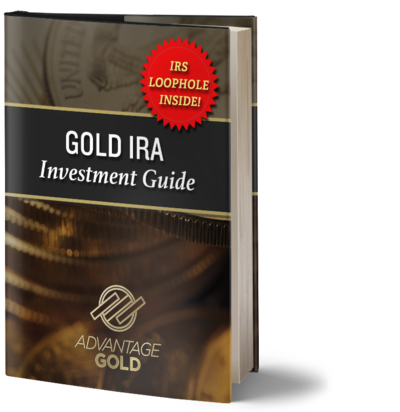 This is an area that most gold IRA custodians will try to take advantage of you if you are an uninformed investor. They will try to sell you collectable or numismatic coins at a higher rate then the regular bullion eagles because they will receive a higher commission. Steer clear of any company that tries to sell you these types of coins when in comes to putting gold & silver into your retirement account. These types of coins are very hard to liquidate and they will hold a lower re-sale value for what you purchased them for. The final important factor that you should look into before making your decision is the reputation of the company. From all of my research, due diligence, and personal experience, there is only one company that I can truly get behind when it comes to account rollovers that are over $250k+. Offer a $250K+ portfolio designed for institutional investors or high net worth individuals looking to take advanced positions with precious metals and guarantee long term wealth building. This package will be specifically tailored to meet the financial needs of each investor to help you achieve your precious metal financial goals. In closing, I highly recommend that you look into them when it comes to protecting and growing your retirement savings. Check them out now!